July 11, 2007–Get the best Las Vegas golf deals now. Several Las Vegas golf courses, including the 45-hole Angel Park Golf Club (pictured) designed by Arnold Palmer, have committed to Las Vegas golfers to provide the best rate possible when players book tee times through the official websites of the Las Vegas golf course facilities that, in total, offer 81 holes of Las Vegas golf. Aliante Golf Club, a Gary Panks design, and the Legacy Golf Club, an Arthur Hills golf course, are also offering the guarantee. April 13, 2007–The Las Vegas Paiute Golf Resort is offering a special deal to all players from May 28-September 2, 2007. Any golfer who pays a $125 rate can play unlimited golf for the rest of the day. The deal begins for tee times from 11 AM on, and both the Sun and Snow Mountain golf courses can be interchanged. OUtdated. Harrahs Golf Vacations is now online and offering several Las Vegas golf package options by partnering with 12 Las Vegas golf courses. Several Las Vegas golf packages are available–or you can build your own– with a special Super Saver starting at only $97. Rhodes Ranch and Tuscany, two Ted Robinson-designed Las Vegas golf courses, offer special discounts when you book through their official golf course websites. The Vegas Preferred Golfers program offerred by Walters Golf gives visiting golfers to Las Vegas the chance to save on golf. 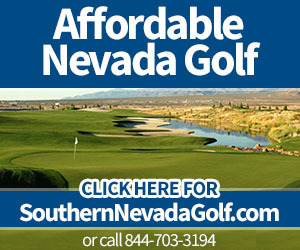 Click for Las Vegas golf deals. Get value deals on Las Vegas golf … Now. 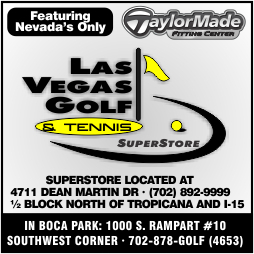 Las Vegas golf deals now! The goal of GolfLasVegasNow.com is to connect golfers to official golf course websites, ensuring them of finding the top deals of Las Vegas golf. Plus, GolfLasVegasNow.com provides unique, fun and valuable Las Vegas golf news.